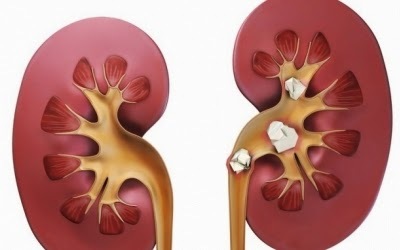 Stones in Kidney can be the cause of unbearable pain and kidney swelling. Which can effects kidneys function that help to detox and filter impurities from the blood and acids from urine. When kidneys function effects due to some problem this may increase the chances to produce stones with toxins in kidneys. In some cases kidney stones can damage or block the renal pelvis and urinary tube, the blockage can hold urine. Calcium, ammonium, magnesium, uric acid, more protein and oxalate in food can be the main causes of kidney stones. Gout (uric acid), non-healthy diet, and inheritance are the main causes of kidney stones. Lower back pain, nausea, fever, cold, blood or pus in urine and vomiting are commonly followed by the patient. Some old but useful and effective home remedies can help you to get rid of this pain and stones positively. It may be revises of stones in kidney after operation (surgery) this useful and effective tip permanently stop it. 1. Take 3 grams Nigella seeds after every meal and if you feel stomach inflammation take 1 dose (3 grams) for fast relief. 2. Mix 10 drops of Nigella seeds oil in 1 tablespoon lukewarm water. Drink it daily after having your meal. Within few days of continued use of this tip kidney stone will remove naturally without any pain. 3. Add 1 tablespoon pure honey in 1 glass lukewarm water and 10 drops of Nigella seed oil. Eat 14 seeds of Nigella with this water 1 time during the day. During using this tip weekly repeat this tip too just dip cotton cloth pieces in raw milk and tie it with flannel cloth piece. The best tip to dissolve kidney stones. 4. Mix 250 grams Nigella Seeds powder in 250 grams pure Honey and keep it in a glass jar. Daily take 2 teaspoons with lukewarm water. The best tip to get rid of kidney stones, pain and swelling. Tea of Gravel root which can be found in maize and wheat fields. Take ½ teaspoon ginger powder with gravel root tea flush out all stones and toxins from the kidneys. Soak 50 g kidney beans in 2 liter water overnight. Next morning boil it for 3-4 hours on low flame. Strain the water and mix 2 tablespoons of apple cider vinegar in it. Drink half cup after every 1 hour throughout the day to get rid from kidney stones pain. Mix 1 teaspoon Olive oil with 1 teaspoon Lemon juice and take it daily before going to bed. One of the most effective and old remedy to resolve kidney stones. In Watermelon season try to eat more and more watermelon juice or fruit with seeds regularly to dissolve kidney stones and pain naturally. Watermelon is the best natural source of calcium and magnesium, phosphates and carbonates which maintain uric and other acid level in our body. Also helps in flushing out kidney stones through urine. Take one glass of fresh pomegranate juice and add half lemon juice in it. Drink it. Astringent and sourness of this mixture is best to get relief fast from kidney stones pain naturally. Blend 1 raw potato with 2 slices of fresh Pineapple and drink it daily before going to bed. Positively dissolve the kidney stones naturally. To get rid from kidney pain and stone eat Radish slowly or compress Radish juice and add salt to taste. Use it daily with your breakfast. To drain out kidney stone through urinating eat daily soft leaves of Radish as much you can. Continued use of Radish leaves for 20-22 days the kidney stone drain out with urine. Drink a lot of water minimum 2 liter daily. Eat large quantities of fruits and vegetables especially with more magnesium, a study found that people who got an adequate amount of magnesium stopped getting kidney stones. Totally avoid to take animal protein.